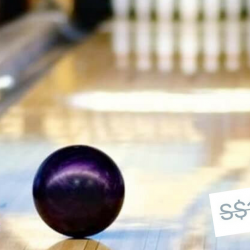 Till 12 Aug 2018 SuperBowl: Enjoy 3 Bowling Games at only $10 with this Fave Deal! Grab your buddies and head over to SuperBowl and bowl your heart out with this offer for three bowling games. Flaunt your skills at the lanes and get playfully competitive over scores of strikes, spares, and splits! Enjoy 3 bowling games at only $10 with this Fave deal! Valid till Sun 12 Aug 2018.